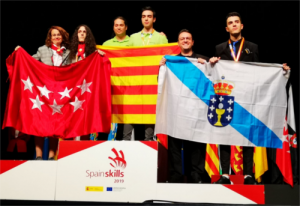 Joel and Roger back to Madrid with gold medal, first prize, the Spainskills, competition for students of vocational training in Spain, ICT Administration in the form of networked systems (Skill 39). 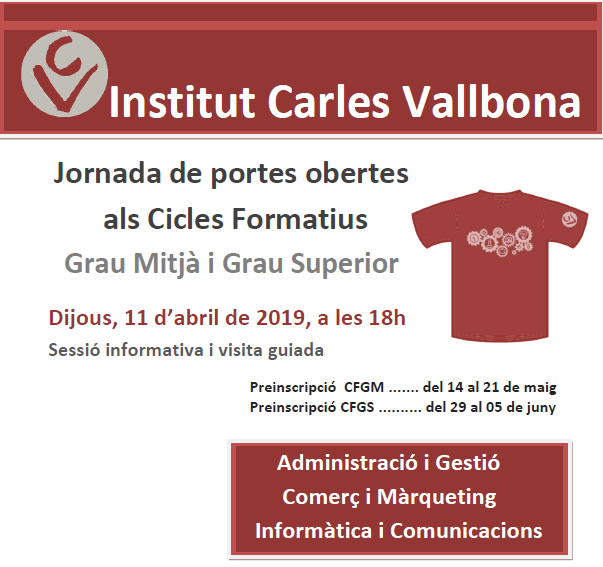 Joel is this course the student CFGS Web Application Development, had previously completed the CFGM Microcomputer Systems and Networks. His tutor is Professor Roger Sanchez Yuste. Now we prepare for the World Cup in Russia. 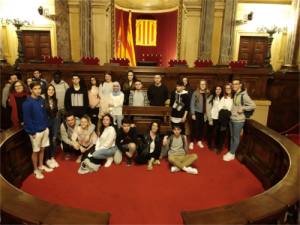 on 2 April, Students in the first year of Administrative visited the Parliament of Catalonia, participating in a guided tour and commented very active and participative, which complements the training they receive these days of Public Administration and Business Administration Module. 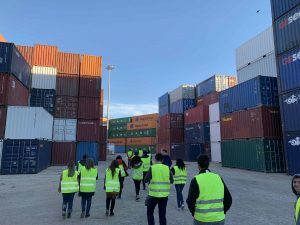 Students 2nd GVEC, 2n ADFI and 2nd TIL Thursday 21 March we went to the Education Fair in Barcelona, output has been very enriching for the students to decide and think about their future career. 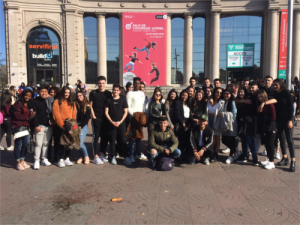 On 5 Marc, 2nd CIT students visited the Design Museum of Barcelona. Besides cabbage·permanent collection, There is a temporary exhibition Advertising. 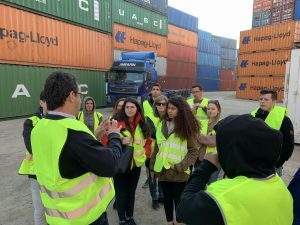 The visit was very interesting from the point of view of marketing. 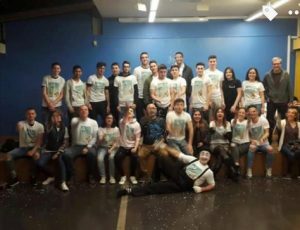 On the first floor of the museum, they could see different designs and products to the 4th floor evolution of graphic design. 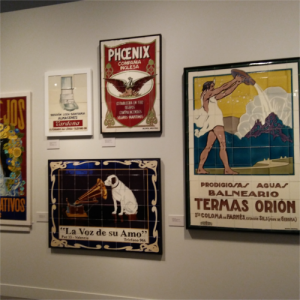 A temporary exhibition on advertising, could know the most notable posters from 1859 fins 1950. Jewel Craft. 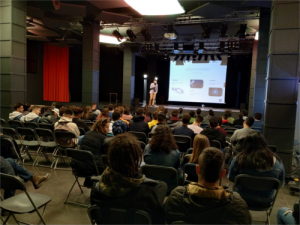 We also attended the conference “As we speak the advertising media?”, in what became a historical display advertising on Barcelona. 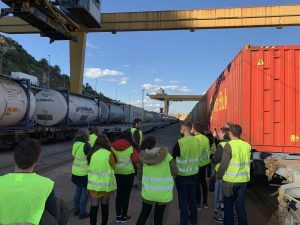 Students cycle transport and logistics terminals visited Morrot Can Tunis in Barcelona and managed by the Group Alonso for rail freight European gauge. 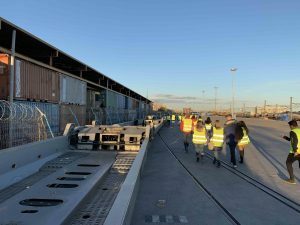 Mr. Joseph Ferro, none of the terminals, told students and operates the service in Barcelona and gave details about the new line to Bettembourg (Luxembourg) which has begun to provide services for 15 dies, which is an extension of Lorry-Rail service being provided from Le Bolou (Perpignan).